It turned out wonderful! 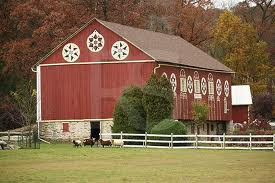 Love the barn photos... it would be nice to live somewhere so green. Nanette, it is gorgeous! You just get better and better. Perfect in every way. So adorable Nanette! I want to make one so bad. It will probaly get moved up on my to do list! And I love the letter. They are a perfect fit. I love the quilt top! I really admire the way your quilts are so personal. 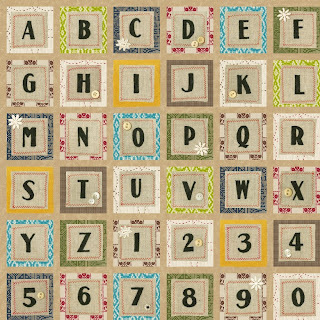 Terrific use of letters on the quilt. Thanks for sharing! Soooooo Adorable! I love driving from CT to PA for the Rennigers Antiques Fairs a few times a year in Kutztown. So serene, and yes, very green! You are so clever, Nanette! Always putting your own stamp on everything. Quilty Perfection! Enjoyed the barn pictures... your barn quilt is magnificent... love the brightness! What a fun quilt! And a special memory for you. My husband and I drove through Pennsylvannia country once, it was a beautiful drive. We still talk about it. 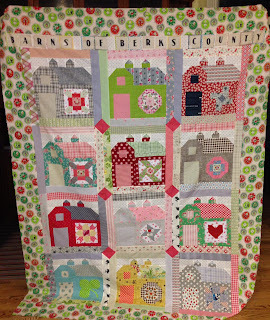 The barns are so lovely...nice to see the barns in your quilt too! I've only been to your area of Pennsylvania once, but was so taken with the beauty. Your barn quilt does your heritage justice. I love this quilt so much!! Can't wait to see how it's quilted. So fun. 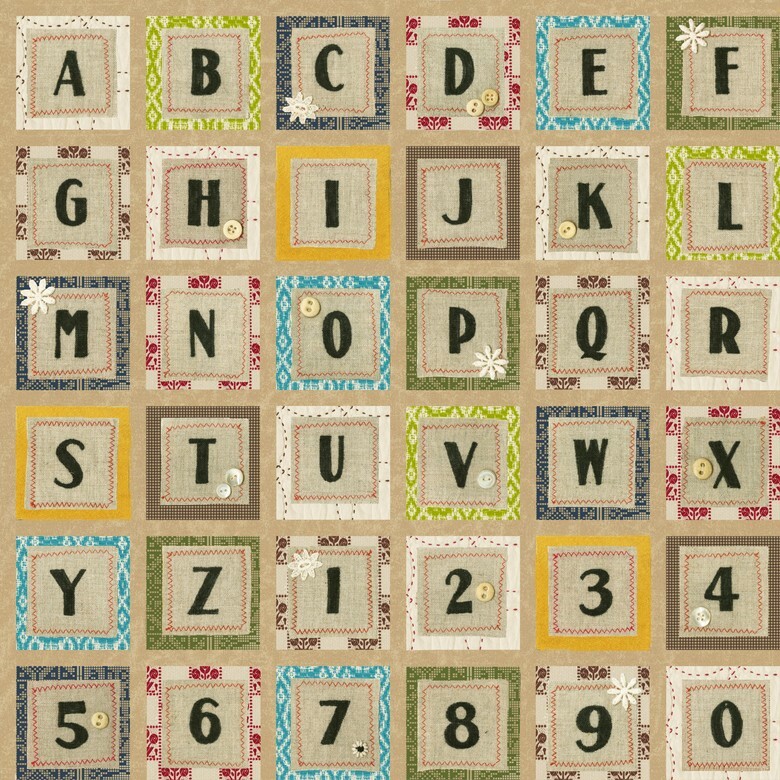 And oh MY, I have to get a hold of some of that alphabet fabric. I love it! Noticed you met Lori Holt and you exchanged gifts. How fun! I made the apron pattern sewing tag! She bought them from one of my etsy shops. Small world! Glad you are a owner of a little Featherweight too! PS. The lady that makes the Thread Catchers sales out as soon as she puts them in her shop. I have 2 of them and love them! She is working on a pattern for sale. Oh it's just perfectly PA Nanette...a true masterpiece!!! I love it! The name and the border fabric are perfect for your barns. Congrats! on keeping up with the sew along. Nanette! I can't believe you have those barns done already! They look wonderful!!! The quilt is gorgeous! I love the border it is very appropriate. We often holiday in France and the barns over there are usually well looked after, particularly the roofs. Can't wait to see the next quilt now! Lovely quilt, and such a perfect border!! 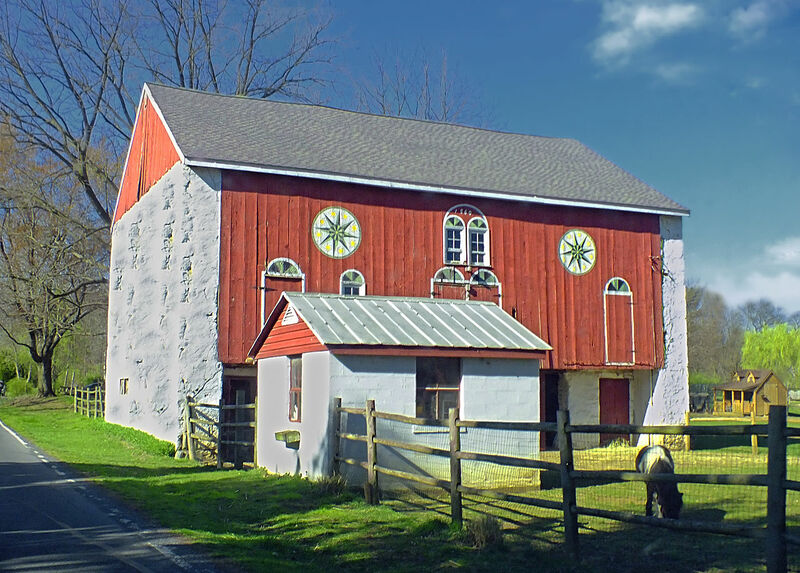 And I was going to google search for "barn hex signs" today, but you have answered my question with your barn pictures: thanks!! 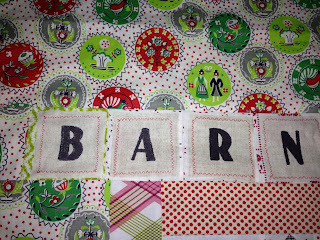 I just started my barn blocks last night (yup, slow to get started over here!! ), but I'll be looking for blocks that look like hex signs too: such a great idea!! I wish we had them here,,,one day I hope to come over and see them in person. 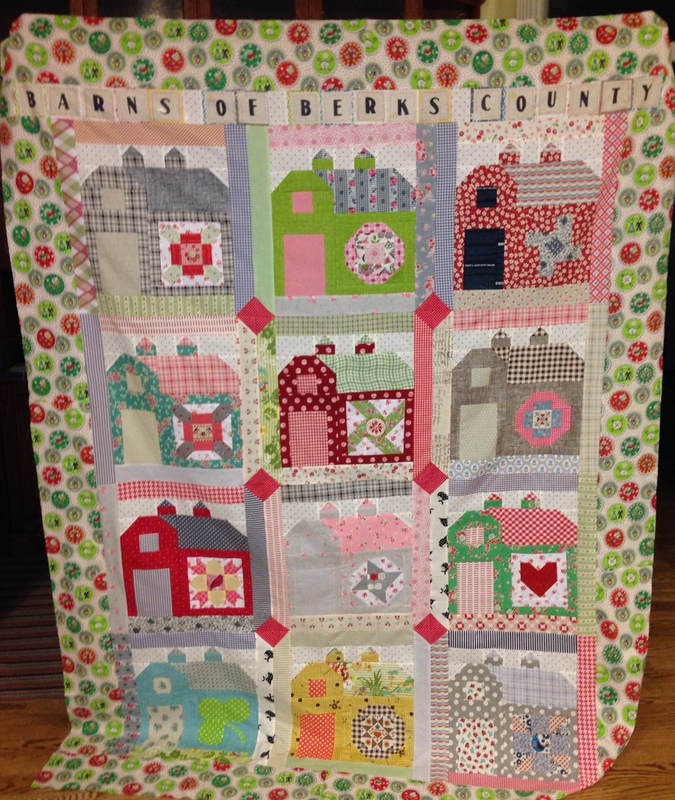 Love barns, love Pennsylvania, love your quilts ... so this one is a big winner in my book! 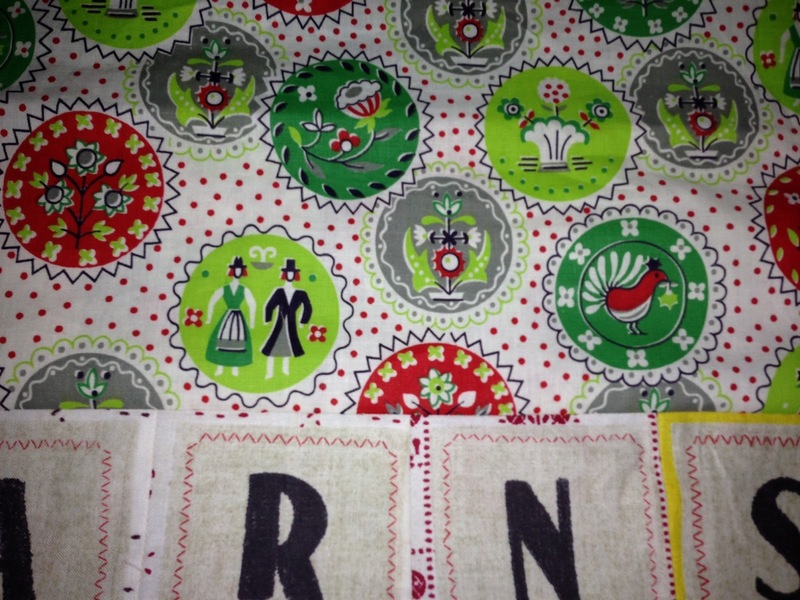 The thing I always love about your quilts is the personal touch you bring to them. Really pretty! When I saw the barns, I did the thinking and thought, she is doing barns in lovely colours and blocks! Of course Nanette! What else. Love, love your choice of colours. Whilst travelling throughout the US this winter, I too admired the many barns of America which I fear will disappear as many are no longer viable in the eyes of progress! Sad. The letters are beautiful and homely to spell out in the quilt. I had a great time following your progress on this beautiful quilt! I can hardly wait to see it with the borders and all quilted and ready to be nestled in. 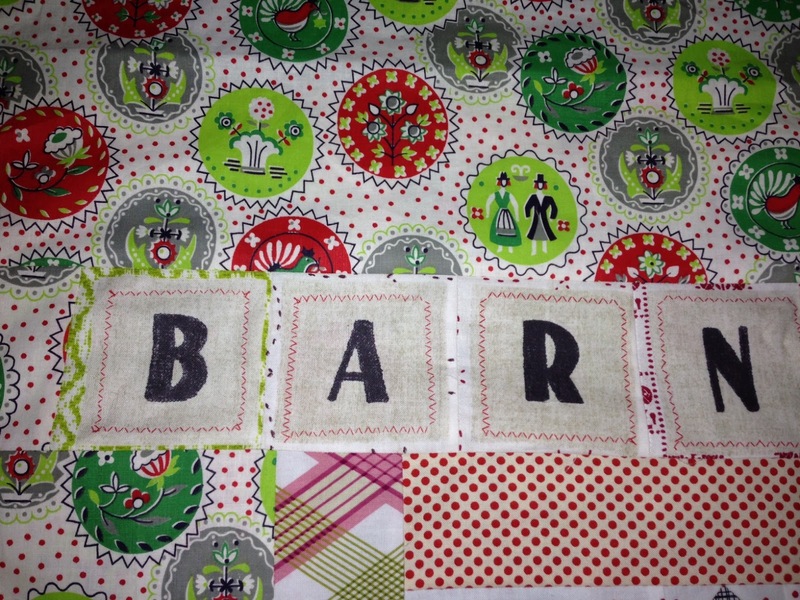 What a cute idea, to put letters spelling barns. I love the border fabric you chose, it is perfect! You have a really beautiful quilt. How extra special that you're from Pennsylvania!